I run an up-and-coming YouTube tech channel known as TechFox. I built my first computer back in 2016 and learned a lot from that experience. My workflow has evolved and my video production requirements reached a point where I needed to upgrade my hardware. I didn't want to make any compromises so I started saving my YouTube and Amazon revenue for over a year. I finally purchased my components in December of 2018 and assembled everything in January of 2019. I've built 8 computers for family and friends since 2016. Some of these PCs were water-cooled but I've never attempted a custom rigid loop until now. This project was a labor of love and I enjoyed every minute of it. Hopefully you do too! My workload on my PC is about 60% video editing, 20% general desktop use, 10% gaming, and 10% homework. 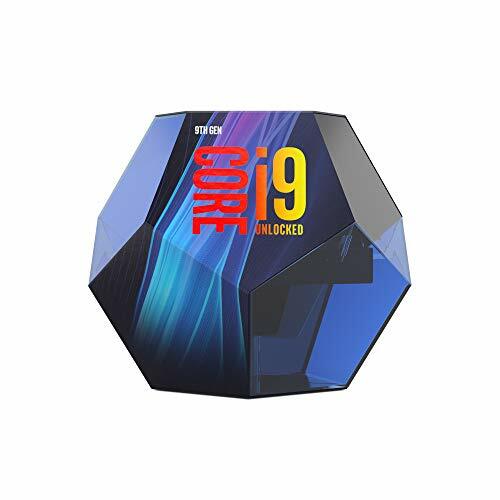 I use the adobe suite and all my research indicates that the i9 9900k is the best option. I considered the AMD competition for Premiere but Photoshop seems to prefer Intel by a significant amount. The ability to use hardware encoding with the integrated graphics was also a contributing factor for choosing team blue. There were only 3 realistic options for motherboards for the 9900k in the Micro ATX form factor. The MSI Gaming Edge was the most feature-rich and, honestly, the best-looking. I know the ASUS Gene exists but, as far as I'm aware, isn't coming to North America. It's also incredibly overpriced. Aside from the CPU, the memory was my next-largest improvement. 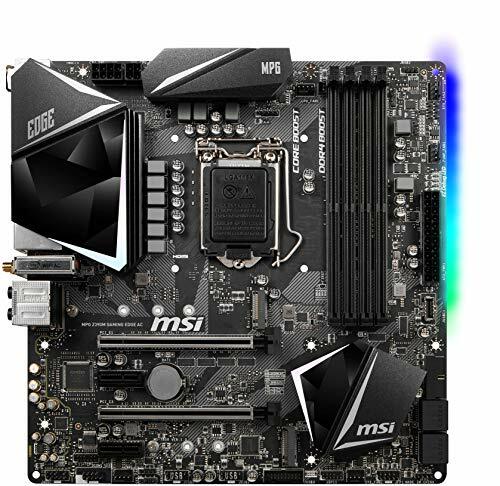 Coming from 32Gb, running at 2133MHz, this new kit from Corsair is a huge upgrade. I like to implement motion graphics and specialized effects with Adobe After Effects. Unfortunately, the amount of time it took to edit and render those effects previously made it not worthwhile. After Effects is one of those programs that will use every ounce of RAM you can throw at it. I organized my storage according to the recommendations of Puget machines. My fastest drive stores my active projects, media, and scratch disks. One of the 1Tb SATA drives is for my OS and programs. One of the 1Tb SATA drives is for completed projects and games. 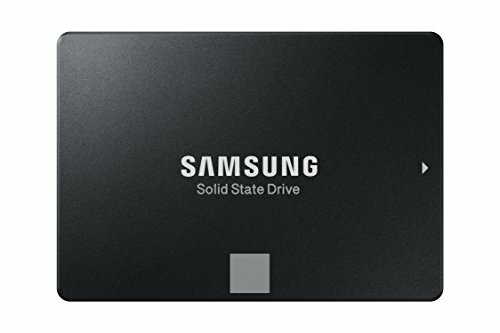 I want to eventually buy a large QVO 4Tb drive from Samsung as a dedicated game drive, but that will have to come later. For a while I was set on buying the new RTX 2080, but it just isn't a good value proposition. For this reason, I picked up a very lightly used 1080 TI for $500. Gaming benchmarks seem to have them basically on par across the board. Some video production benchmarks actually seem to favor the larger 11Gb VRAM capacity of the 1080 TI anyway. 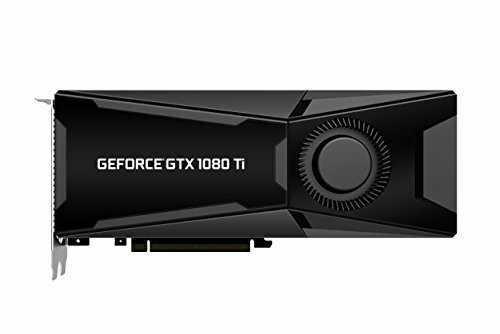 Of course, I could have stepped up to a 2080 TI for an extra $700, but I'd only see a marginal increase in video production capabilities. My 1440p 75Hz monitor is already basically maxed out by the 1080 TI for gaming so a 2080 TI would be complete overkill. With my first PC build, I used a case that was much larger than I needed. This time around I wanted to reclaim my desk real estate and also give myself a bit of a challenge. I found a good deal on the 280X RGB which comes pre-loaded with 2 LL120 fans and a lighting node pro. I recognize that 850w is probably overkill but I selected this PSU for a reason. This new G3 series is smaller than the outgoing G2 series and I need every spare millimeter I can get behind the motherboard tray. This PSU also has an "ECO" mode that will keep the fans off until it gets warm enough to need to kick on. Hopefully, this extra wattage overhead means it won't ever have to spin up. While increased performance was my primary goal with this new PC, less noise was a close second. I swapped the included EK Vardar fans with a few Corsair LL120s. While not strictly for static pressure, the LL series actually perform admirably well considering how quiet they are. I also added a pair of LL140s to the front as an intake to balance out the two pairs of LL120s that are being used as radiator exhaust. In all honesty, I just really love the way the LL fans look! It was worth the added cost and marginal potential performance decrease to really make the machine pop. Early on I knew I wanted to do a custom loop, but I underestimated how prohibitively expensive it is. The fluid gaming kit is a great budget option but it limits your options of graphics cards to those that leverage the reference PCB. You also have to be very careful to only purchase aluminum components to prevent galvanic corrosion. The tubes in the front chamber are all rigid and the tubes going behind the motherboard tray to the pump/res are the soft tubing that came with the A240G kit. I did this to allow me some flexibility with the res/pump. It should make draining the system easier as the fluid gaming series does not currently offer any ball valves in aluminum. The 280X RGB comes with a lighting Node Pro. The Node has 2 RGB channels. One channel runs the RGB lights for the fans and one channel was available for an RGB strip. I also purchased a pair of UV strips to help the UV-reactive coolant really glow. From what I've seen online, these small shops that hand-make their cables seem to make the most impressive products. I was blown away at how good the cables from MainFramCustoms looked. The fact that that curve by default makes routing them easy and prevents them from getting bunched up. I had to make a couple modifications to the case to accommodate the hardware I wanted to implement. I started by removing the HDD and SSD caddies. The NVMe drive connects to the motherboard directly but I needed to find a new home for the pair of 3.5in SATA drives. The 280x has this weird "attic" on top of the case. It's just barely tall enough to house the two drives. I drilled 4 holes to attach them with washers to the case and cut a slit to feed the cables. The 280x has 3 holes with grommets to feed cables from the front to the back. If you're using a MicroATX board, however, 2 of the 3 holes will be covered. For this reason I cut a new hole and added one of the now unused grommets to it. While the cut wasn't perfect, the grommet covers up any potential imperfections. I'm really happy with the way it turned out. I needed this extra hole for the thick custom cables and tubing that needed to be fed to the back. Finally, I drilled 4 holes into the bottom to give the pump/res a place to mount to the case. Smells kinda like a feature. Damn, I should play the lotto. That is a really impressive man! Clean build especially in a matx case. Nice picture quality aswell. Thanks! I tried to keep it as tidy as I could. Super tidy. The RGB lighting paired with that level of quality photography is stunning! Think you'll spring for a 240hz monitor in your future? A E S T H E T I C . Love it. Yeah! I was going for a "Back to the Future", "Blade Runner", "CyberPunk" vibe. Back to the Future will need a DMC sticker. Mandatory. the progress pictures look lovely! gotta ask, what camera are you using? You sir, have just earned a new subscriber. That's a great looking build. Nice parts selection for the purpose. Pics are very good too. I bet you can get work done in half the time now. Congratulations! Thanks! It's been a long time coming. Incredible Build, and even better photography!! This is really inspiring! Not related to the build(which is awesome) but are you a muse fan or is it just simulation theory? Both! I'm going to their concert later this month. I am in love. I've been thinking about doing a 280X with pump/reservoir combo in the back of the case but I wasn't sure it was possible until now. Thank you so much for doing this build and demonstrating the potential of this case. You're welcome! I'll be doing a "Behind the Build" in a few weeks where I'll be going over some of the trickier bits in greater detail and answering questions from Twitter. How do you get amazing pictures like that? Is there a certain lens or something for those awesome shots with the small, clear focus area and the rest is kind of blurred? Apologies for my wording, I know nothing about photography but love when people have these amazing shots of their build. Thanks! They're actually screenshots from the build video I did. I use a Canon 80D with an EF-S 24mm lens. I record at 1080p/60fps. I have colored lights to give it the retro look I want. The images were after a bit of sharpening and color correction. The Video. The word you are looking for is "bokeh". It's an effect controlled by the aperture. The lower the aperture the more extreme the background blurriness. If you want to have a chat about it sometime, let me know. Ah thanks for the help, learned something new! Sick build! One of the few custom loops that looks clean. This build looks so clean it almost looks like it's rendered. +1 M8! Nice build, love those curves. Getting those Cyberpunk 2077 vibes! You ruined me man. This was the first time I'd seen this case and then I saw it in person at Micro Center. It has to be the best mATX case ever designed by Corsair. I have an ATX system, so I will have to admire from afar lol! Super clean build well done. Really liked the build video as well, was a nice contrast to what a lot of build videos seem to be these days, a cool Cyberpunk type vibe to the video (and build). Very sweet build. I'm glad somebody did a feature build of this case, because it deserved one. How you get a desk like that? Do it yourself? I love It! i just don't love the price... Welp time for some saving! I think if the 16Th picture was the first or second shown it would draw even more attention! Great build! Have you overclocked it? How come your CPU temp is 77C? If so, what sort of overclock did you get? On the GPU? Or is it just really hot in your room? Or is this just normal for the 9900k? unfortunately this is normal for the 9900k once overclocked. You say you were considering AMD for Premiere but it's even more poorly optimised for AMD CPU's than Photoshop is. For example the 8 core i9 9900k beats the 16 core Threadripper 1950X in most benchmark tests inside Premiere. You made a good decision either way. Nice Build! just a dope build, nice work! This looks amazing! Do you think you'll upgrade to a 2080 RTX when you can afford it, or will you just settle on the 1080 ti? Thanks! As far as performance goes, I really don’t have a good reason to switch to a RTX 2080. I’d also have to redo the entire loop because EKWB doesn’t offer a fluid gaming series for RTX cards. Good to know I'm not the only one struggling to find any aluminum ball valve for the EK loops as well. Beautiful build! have you overclocked it? hows vrm temps etc? sorry to be that guy, buy this just looks like an average all watercooling build. unless im missing something special about it, i dont see why this is a feature. Lol, you don't seem to know much about PCs and it's hard to tell if you're being sarcastic. Don't beat on this nice build, it looks great.